Choose the best combination of smooth classic style and easy wearing comfort with the Skechers GOvulc 2 - Primo shoe. 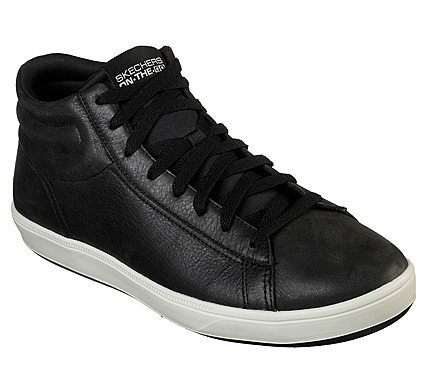 Smooth premium leather upper in a lace up sporty casual comfort mid high top sneaker with stitching and overlay accents. Air Cooled Goga Mat® insole.